Yesterday, the court released a redacted transcript of the hearing on whether and how badly Paul Manafort violated his plea agreement. The changed testimony, which I had previously thought pertained to Steven Calk but which very clearly relates instead to something closer to the campaign (possibly the campaign’s foreknowledge of efforts to kill the Access Hollywood story by using the WikiLeaks dump), is the most fascinating part of the transcript. I hope to return to it after today’s hearing with Matt Whitaker. That said, the transcript might be most interesting for the way Mueller’s team describes the cooperation generally. Andrew Weissmann framed the entire discussion by talking about why, just days before Manafort’s second trial, the government entered into a plea deal with him without first having verified the truth of what he proffered. He described two factors that weren’t present in normal circumstances that would lead them to do that. The first was a hope that Manafort could help them collect intelligence on the operation. One was, there’s enormous interest in what I will call — for lack of a better term — the intelligence that could be gathered from having a cooperating witness in this particular investigation. And that would account for the Government agreeing to have Mr. Manafort cooperate, even though it was after a trial. Because that’s certainly an — not — not — it’s not that that never happens, but it’s more atypical. The other is redacted, but it seems to be a reference to a pardon. By the same token, there was an unusual factor — the second unusual factor, which was [1.5 lines redacted] the normal motives and incentives that are built into a cooperation agreement. Much later, during the discussion of Manafort ordering Gates to pass on polling data, what appears to be one of the prosecutors even points to why Manafort would lie in hopes of increasing his chances for a pardon. 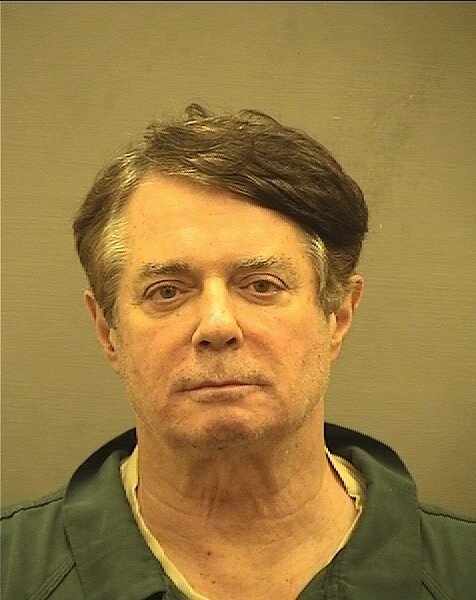 [redacted] would have, I think, negative consequences in terms of the other motive that Mr. Manafort could have, which is to at least augment his chances for a pardon. I’ve been saying through this entire process that all the normal conclusions one might draw about someone making a plea deal have to be discarded given the way Trump has clearly floated pardons; the lesson applies here, as well as to Jerome Corsi (and probably applied to Michael Cohen before Trump realized he had no tapes of the most damning conversations they had). It appears the prosecutors agree. Update: Rereading the transcript while I wait for the Whitaker hearing to resume. Here’s another instance where Weissmann suggests the normal incentives to cooperate weren’t in place, presumably because of a hoped for pardon. And to take — to go back to the example of Mr. Manafort’s saying to us: Well, that’s not what I said previously. What that showed is that the incentives of the agreement, where there are benefits to be had by cooperating, there are disincentives; because if you’re caught lying, that you can have serious consequences. It told us that those incentives were not working — were not working adequately. So, all of that factored into why we were making this decision. Escobar: Did you ever create, direct the creation of, see, or become aware of, the existence of any documents relating to pardons of any individual? Whitaker: Uh, I am aware of documents relating to pardons of individuals, yes. Admittedly, his response lacked any of his big “tells,” (such as drinking water or sneering or gritting his jaw), so this could be an answer pertaining to the normal role of the Attorney General in pardons (and Trump hasn’t pardoned all that many people, in any case). But it was an interesting exchange in any case. Democritus on The Debate We May Be Having Tomorrow: If Trump Obstructed Justice to Hide Compromise by Russia, Could that Be a Crime? Observiter on The Debate We May Be Having Tomorrow: If Trump Obstructed Justice to Hide Compromise by Russia, Could that Be a Crime?